The cost of audits has gone through the roof. It is not just the final bill but it is also the cost of compliance. The cost of handling an audit must be managed. More and more Canadians are being subjected to audits. With the economy down, the taxman’s cash flow is hurting, so be prepared. CRA audit activity is at an all time high. The cost of audits has gone through the roof. Audits are no longer random samplings, they are full 100% audit of all the records. Conducting net worth audits and assessments is now standard procedure. What most taxpayers don’t understand is that if you allow CRA to audit your records, without first making them audit ready, it is one big expensive lesson to be learned about the two costs of audits. Firstly the big cost an audit is getting a tax bill for much more than it should be. Secondly the cost of dealing with an audit gone bad, is far more than double the cost of just getting ready for the audit in advance. CRA knows full well that sloppy records are an excellent source of tax revenue. They only give taxpayers 30 days to get ready. The critical factor to understand is all about onus. If CRA audits you and your records are good the onus is on the auditor to prove the taxpayer wrong. If CRA makes assumptions, as they have the right to do in the absence of good records, the onus is on the taxpayer to prove the auditor wrong. Once CRA makes assessments, they hang their hat and are not interested in helping you reduce the tax debt, so they resist and you have to demolish their assumptions.The demolishing of assumptions is a time consuming onerous task that drives up the cost of the audit. When the tax man comes calling it is because they intend to get money from you. While auditors do not yet have a specific written quota to fill, they are trained to get as much money as they can. You can expect that they will try to earn about $1,000 per hour that the auditor expends on your file. If you get that brown envelope that tells you that CRA needs information from you, rest assured that they are fishing for money. That is time to start doing damage control. 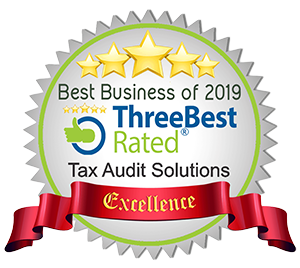 What you need to do is retain an expert who has a track record of handling auditors and protecting legitimate business deductions. Do not talk to auditors and do not let them in your home. Sign a consent form with your representative so you don’t need to talk to the auditors and to prevent them from trying to enter your home. Our highly experienced representatives will force CRA to back off from anything you are not legally required to comply with or to pay. 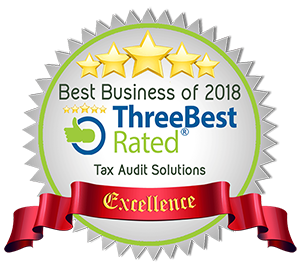 Here at Tax Audit Solutions, we are full time Tax Representatives, we know the ropes and we will dramatically reduce the total final cost of a CRA Audit.